Morocco is located on the north west corner of Africa against the Atlantic and south of Spain‏‎. It has a population of 32 million with major cities being Rabat (the capital, pop 630,000) and Casablanca, largest, busiest and noisiest city of just over 3 million inhabitants. The climate is Mediterranean which becomes more extreme as the country merges into the Sahara. There are also the high Atlas mountains so the temperature can vary greatly throughout the country. It is a stunning country and very popular with travelers and teachers who want to travel and see something of the world. Because of its history, aside from Arabic‏‎ most people speak French and if you are planning on working there it’s useful to learn a little before you go. To get a work permit you’ll need at least a degree which will be checked and verified. You will almost always need a TEFL Certificate. The process of submitting your papers should be carried out by the school. In some areas you will also require a police clearance. Finally the official retirement age is 60 so work permits are not issued to people over 59. There are quite a few schools in the major cities. These range from large chains including the British Council‏‎ and the American Language Centers to very small concerns. Some of these can be less than forthcoming with pay and you should choose your school carefully and be certain that you have a written contract with them in case of problems. There are also English language departments in some universities. To work here you will need at least a Masters. Morocco is a multilingual society with many people speaking French and Arabic‏‎ with English growing in importance. English is taught in state schools although teaching is not always at the highest level. Most private classes will be helping high school students and university students. You may also find some Business English‏‎ and adult classes teaching English for Tourism‏‎, etc. Students are motivated, enthusiastic about learning and enjoy their lessons. They will expect their teacher to be knowledgeable, firm, authoritative and professional. 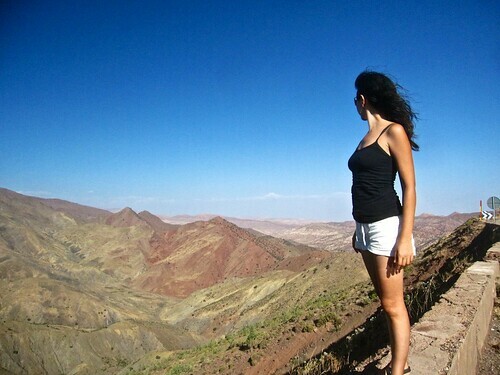 The days of backpacker teachers‏‎ in Morocco are long gone. Work is often found by being in the country itself and approaching schools directly. Even if this informal method of obtaining work is successful, make sure you have a contract with your school which specifies your pay and the payment schedule. A rate of $20 USD (€16, £13) per hour is about average for pay. In keeping with the Moroccan culture, you may well be able to haggle of this amount and get more. A monthly salary may add up to around $1000 USD (€791, £636) or, with private lessons, $15000 USD (€11869, £9545). A 2 room apartment in a reasonable area will cost about $650 USD (€514, £414) per month and take much of your wages, but the general cost of living is quite cheap. Some better schools will offer accommodation paid or a housing allowance or you may be able to share an apartment with another teacher. Because of the bureaucracy involved in renting it’s often best to let the school sort this side of things out. Pay, then, is not too high but many teachers enjoy the simpler lifestyle. Alcohol is not always easy to come by but is not illegal in Morocco. Likewise many of the bars (especially in smaller towns) are men only and if you do see a woman there the chances are she is not simply out for a drink with friends. Although Morocco can be a fantastic place to live, there are certain considerations for Westerners to bear in mind. It can be the case that white teachers will find jobs more easily than other teachers; it is often the case that black Africans (and by association, black teachers from other countries) are looked down on. For more on this subject, see Racism in TEFL. Couples who are not married may find it difficult to rent an apartment together or find work; Morocco tends to be quite conservative on this matter. Female teachers often talk about hassle when they are out and about on their own; of course it depends where and in the major cities there is less of a problem, but in smaller towns unused to foreigners it can be a nuisance.